There’s nothing sadder than a flowering plant with no flowers on it, especially if you’ve grown a plant from seed and it seems otherwise healthy. It’s so frustrating not to get that reward you’ve been working towards. It’s a common complaint with four o’clocks, in particular, and there’s usually a very good explanation. Keep reading to learn more about how to get four o’clock flowers. Why Won’t My Four O’clocks Bloom? Four o’clocks get their name for a very obvious reason – they tend to bloom around four o’clock…except when they don’t. So when do four o’clocks bloom? A lot of other flowers open and close according to the sun, which roughly means they’re open during the day and closed at night. Four o’clock flowers, on the other hand, respond to temperature, and they don’t like the heat. This means that the flowers will only open when daytime temperatures cool off, often a lot later than 4 pm. They may open at 6, or 8, or only when the sun is down. Sometimes they bloom during the day if the sky is overcast and the air is cool. If you think you have a non-flowering four o’clock, chances are good you’re just missing the flowers. If you think your four o’clocks are not blooming, take a closer look. Are there flowers on the plant that look closed up or withered? Chances are good that the plant is, in fact, blooming, and you’re simply just missing it. If you’ve been experiencing an especially hot summer, there is a chance that the flowers aren’t opening at all and are just waiting for temperatures to cool off. If this is the case, there’s, unfortunately, not much you can do other than wait it out, or sneak outside in the dead of night to see if they’re blooming after all. A lack of adequate phosphorus may also be to blame. 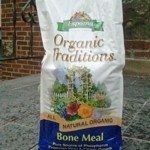 Giving the plants some high-phosphorus fertilizer or adding bone meal to the soil can help with this. Read more articles about Four O'clocks.